It tastes like homemade - but you don't actually have to make anything at home! 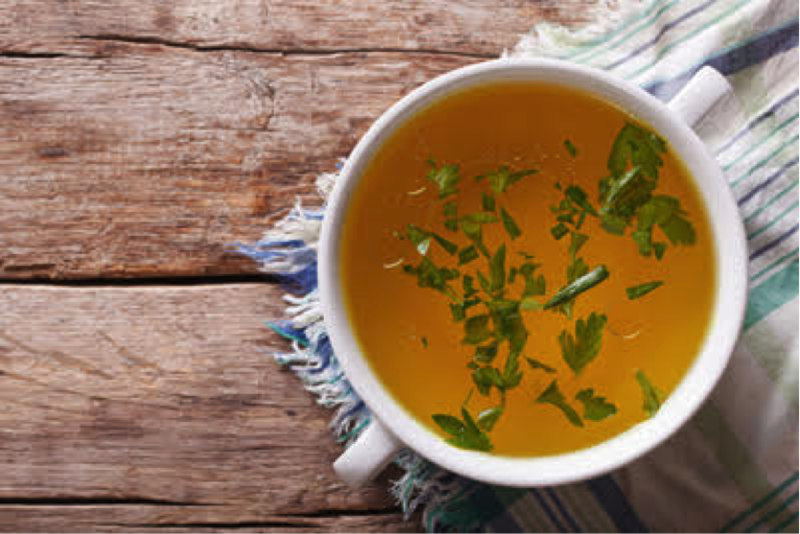 Truth: The lackluster chicken broth you’ll find on major grocery-store shelves tends more toward salty water than anything resembling actual poultry, at least until recently. The popular Michigan-based restaurant chain Zoup! now distributes its small-batch Zoup! Good, Really Good Broth via supermarket behemoths like Kroger, Albertsons, and Wegmans – making it possible to enjoy homemade stock flavor in summer, minus the time standing over a hot stove. In a large soup pot over medium heat, add broth, spinach, chicken, and beans; cover and cook just until soup simmers. Stir in pesto. Cover, reduce heat to low and simmer for two minutes more minutes. Season with salt and pepper to taste. Ladle into bowls and garnish with roasted red peppers and feta, if desired.